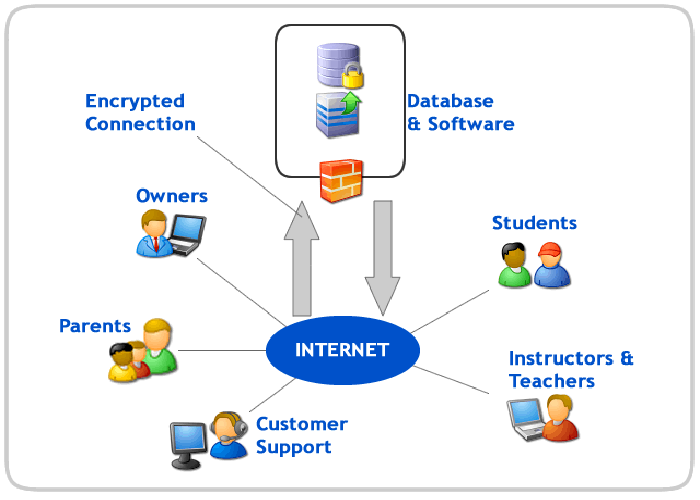 Our server based college management software provides module wise accessibility for support multi user with different privilege to ensure high level of security. Single database management system It is multi user, multi session and multi board suite package. It is completely user friendly college management software. Full fledged Library Management System. Generates different types of reports. Developed using optimized designing and coding to maintain proper speed. Proper and systematic training to different departments. Ultimately maintains efficient management. Collage Management System gives a web enabled interface to the users ie. Students, Faculty, Administrators and Parents. Fully compatible for integration with Biometric Devices, Barcodes, RFID's & Smartcards Manual effort is reduced and speedy and accurate reports are generated. Data security is maintained on a departmental level. High degree of security and safety according to international standards. High degree of transparency of the institution through the Web. Better co-ordination between departments. Student conveniences extended beyond the classroom. Overall reduction of operating costs; and savings on time and efforts. Easy to learn, use and implement. Highly streamlined and effective workflow of administration and academia. Ensures greater efficiency. Unlimited number of users. Easy to customize.